These are old items and no longer available for purchase nor trade, even in Kuwait. 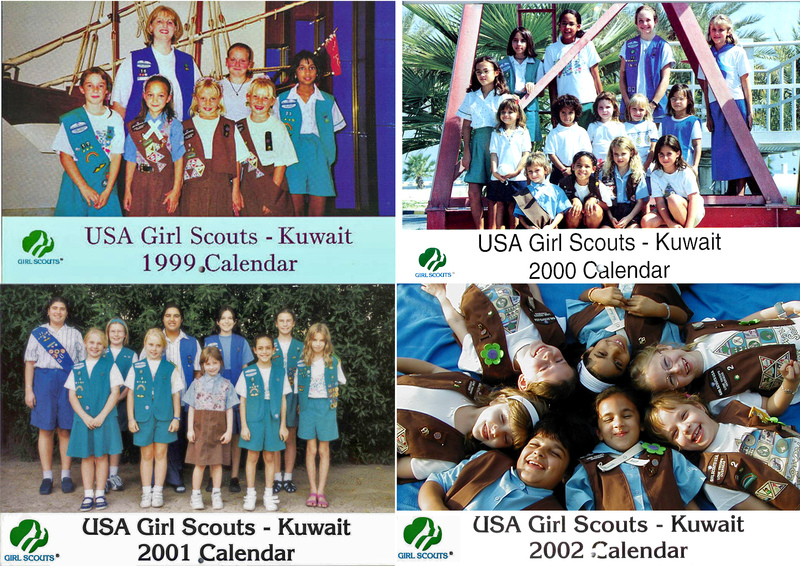 If you are interested in volunteering to help create new ones for Kuwait, please contact the OCC. Click on the thumbnails to see larger pictures of the items. 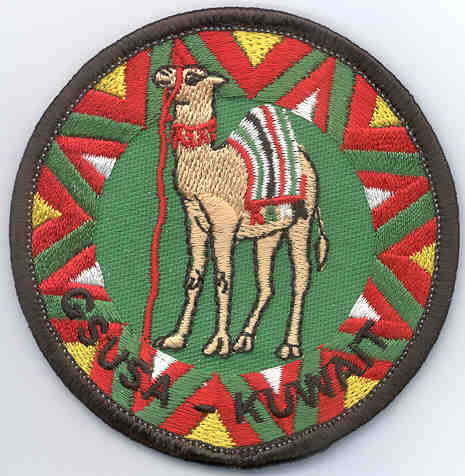 We've had to remove our offer to sell patches and pins at this time due to GSUSA's "no internet sales policy." Nobody in Kuwait is trading at this time.